On Sunday, November 25, 2018 at 2:41 p.m., suspect #1 entered the store and distracted the victim at the register. 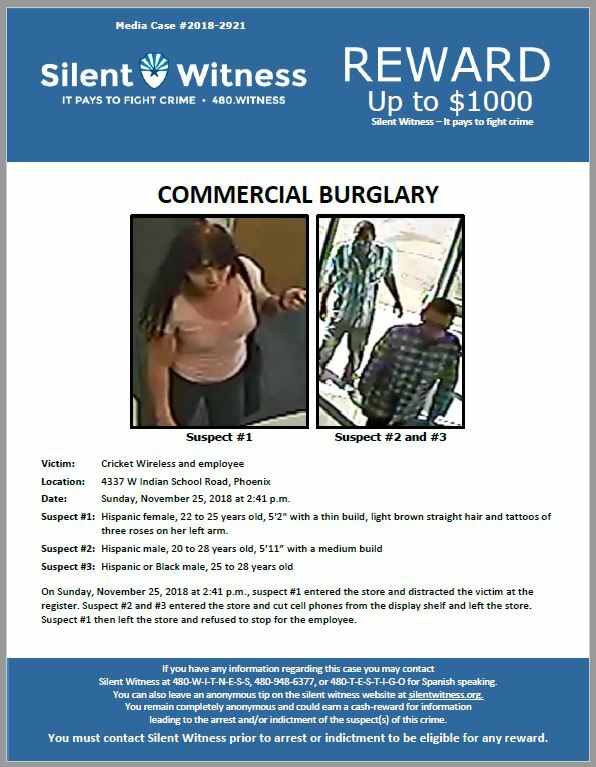 Suspect #2 and #3 entered the store and cut cell phones from the display shelf and left the store. Suspect #1 then left the store and refused to stop for the employee.